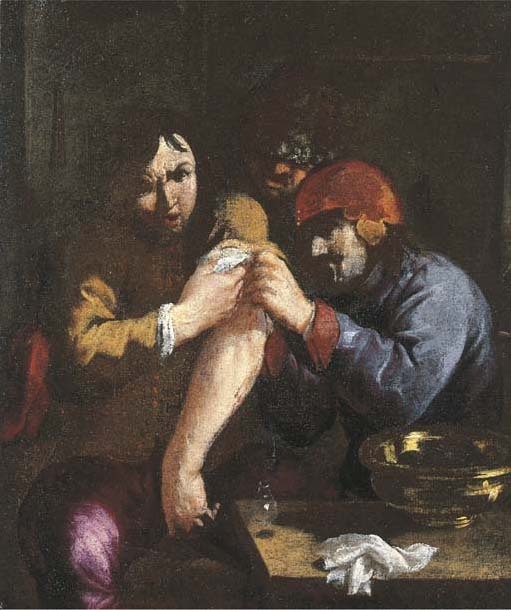 A partial copy, in reverse, after the painting by Brouwer in the Kunstmuseum, Düsseldorf (see K. Renger, catalogue of the exhibition, Adriaen Brouwer und das niederländische Bauerngenre 1600-1660, Munich, 1986, p. 132, no. 8, fig. 7).